The titles put a question in the reader’s mind, namely, “What the hell does that mean?” Pretty soon, they’d read to find out what’s going on, just to erase the dissonance in their heads. But there’s another, more practical reason to have unusual titles and unusual subject matter to go with them, and it’s to avoid problems like mine. Two houses, both alike in dignity/In fair Verona, where we lay our scene/Where ancient grudge break to new mutiny/And civil blood makes civil hands unclean. So the novel is not simply “Romeo and Juliet with vampires,” it has a theme of violence polluting the political process in the place where the story is set (Washington, D.C.). On top of that, there’s another meaning to the “civil” part, since the class-action lawsuit at the centerpiece of the book is a civil trial rather than a criminal one. 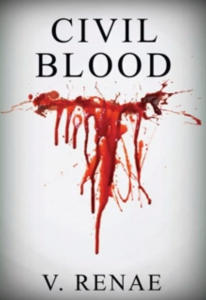 All this hopefully adds up to some unique layers, which is a really good thing, because not only are there a number of books out there with star-crossed vampires, there is now another one called Civil Blood. Author V. Renae has written a young adult novel for New Traditions Publishing, and here’s the spiffy cover. It’s coming out October 1st, 2018. The back cover copy is here. I haven’t read it yet, but I wish the author well. 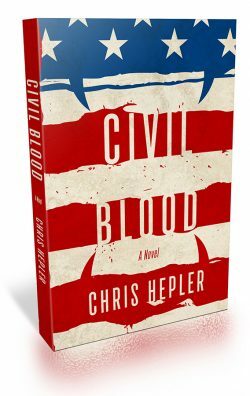 If you ever tried to Google my novel title, you know that both of us will be fighting for space with several other books called Civil Blood. First, there’s Ann McMillan’s 2001 Civil War mystery about a smallpox outbreak in Richmond that may be deliberately caused. 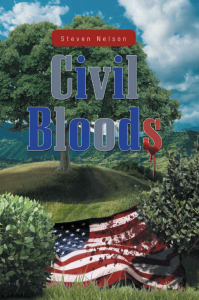 And then there’s Civil Bloods, another Civil War-era story by Steve Nelson. Two brothers fighting for the South in the Civil War are captured and make their way to Wisconsin, in what sounds kind of like a Western. But surely I’m safe if I tell everybody I have the world’s only vampire legal thriller, right? This is about when my heart stopped. Hearing that another author, who is an actual lawyer, was publishing a book about vampire Supreme Court cases and had the backing of a mainstream publishing house was so specific that it made me wonder if there was plagiarism going on. Of course, there wasn’t. I ordered the book straight away, and found it and Civil Blood were completely unrelated. The book, A People’s History of the Vampire Uprising, is a lot more closely related to World War Z than Civil Blood. I wouldn’t call it a legal thriller at all, honestly. Most of the action takes place from the points of view of an FBI agent, a CDC doctor, and a Catholic priest. It winds up more Dan Brown than John Grisham. The legal and supernatural differences of the vampires are significant, but what matters most is that the novels evoke different feels. 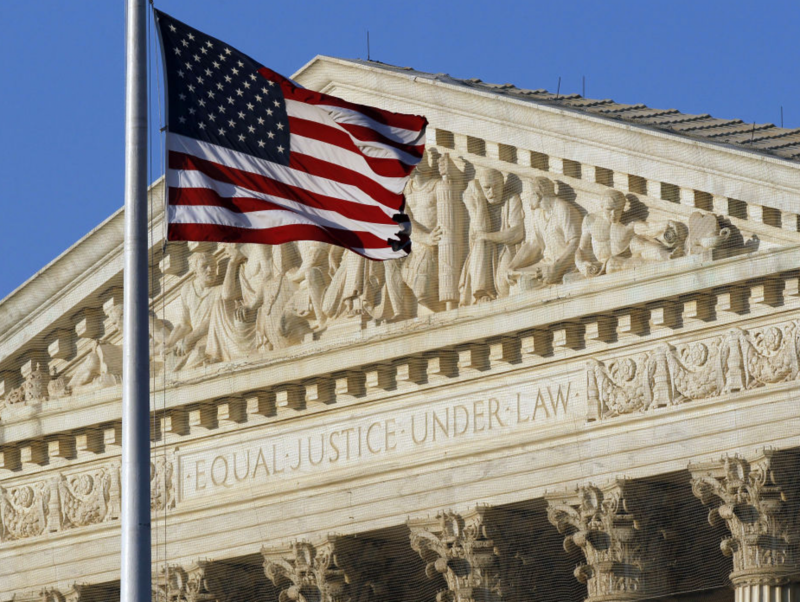 A People’s History devotes two to three chapters to the Supreme Court decision, mostly from a law school perspective reviewing the documents years after the fact. Now, while I really admired the world-building in A People’s History, I’m of course partial to my own approach. I put protagonists on the stand, with their fate resting on the verdict. I wrote the chants of the mobs on the National Mall. And, of course, since I can’t write a court document like a legal scholar, I just grabbed the most stirring parts of Law & Order as an inspiration and wrote a transcript of the closing arguments of each side. There’s a lesson here, I think, that I have heard from authors before. When they say write the book only you could write, it’s for times like these. A People’s History has scenes set in Washington, D.C., but its action keeps coming back to the American Southwest and the Vatican, where the author knows his stuff. Similarly, had I written a YA Civil Blood instead of the R-rated gritty material I love so much, I’d be fighting with V. Renae rather than smiling and giving her book the shout-outs it needs. Because as Juliet might say, a name really isn’t as important as the love you put behind it. Okay, she says that in iambic pentameter, but that’s the gist. V. Renae’s Facebook page is here and Tumblr here. Her Civil Blood comes out October 1st, 2018. 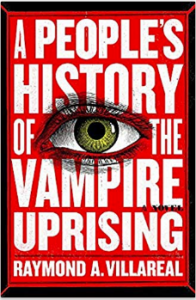 Raymond A. Villareal’s A People’s History of the Vampire Uprising is on Amazon here. It’s available now. 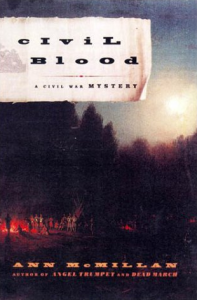 And if you’re searching for my Civil Blood, use its subtitle, Civil Blood: The Vampire Rights Case that Changed a Nation. It’ll get you to the pages that matter much faster than just “Civil Blood,” which will take you to pages of Shakespearean analysis.